Contrary to the notion that increased biofuels production will undermine the food security of developing countries, EfD research results show that it can increase production of both food cereals and cash crops in Ethiopia. However, the effects vary by region. Also, to be successful from a poverty reduction perspective, biofuels investments must be made on unutilized land. Transfer of technology know-how from biofuel firms to farmers is also required. In 2007, the UN Special Rapporteur on the Right to Food, Jean Ziegler, said in a press briefing "It is a crime against humanity to convert agriculturally productive soil into soil which produces foodstuffs that will be burned into biofuel." He called for a five-year moratorium on biofuel production as the conversion of maize, wheat, and sugar into fuels was driving up the prices of food, land, and water. Other skeptics see the trend of biofuels investments as land grabbing by transnational corporations and foreign governments, and as the new scramble for Africa. “It is imperative for researchers in a country like Ethiopia, with low income, food insecurity, and external sector imbalance, to undertake empirical research and provide evidence-based policy advice in this area where little is known,” says EfD researcher Zenebe Gebreegziabher. 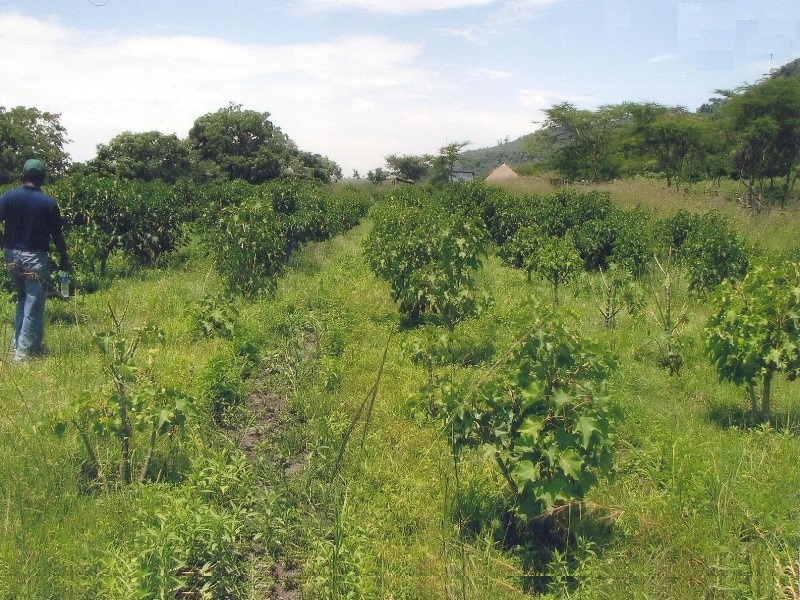 The significant outcome of an assessment study conducted by EfD researchers is that biofuels investments can also have beneficial effects, especially when they involve technology transfers and when they are made on unutilized land, so that smallholders do not lose land. The debate in Ethiopia, according to Gebreegziabher, is that some of the land that seems unutilized because it is not under cultivation might be in use, for example, as grazing land. Technology transfers can occur either informally or through conscious intervention, according to Gebreegziabher. The idea is that farmers will be employed in the newly established biofuels firms as farm laborers. The firms will then provide training to their employees on modern production practices. Then, know-how gained from biofuels firms will naturally be used by farmers in their own food production. Alternatively, firms can engage in conscious technology transfer. Some biofuels firms that are engaged in contractual farming agreements provide training to the farmers on how to grow the crops, e.g., seeding, weeding, pest control, and harvesting. Finally, the NGOs studied in this research are interested in biofuels as a community development option, and are engaged in knowledge and technology transfer activities. “Our findings show that biofuel expansion can help improve economic growth if such investment generates technology transfer. Without knowledge transfer, however, the effect of biofuel investment on economic growth is negligible,” says Gebreegziabher. The findings from Ethiopia also show that biofuels investments can improve smallholder food security and increase household welfare, depending on the region. Production of both food cereals and cash crops increases in four of the seven scenarios investigated by the EfD team, but with some negative effects in two of these. Moreover, the analysis makes projections covering the period 2005-2020. These projections suggest that, when the biofuels sector operates at full scale, Ethiopia will be producing less export commodities (given the current land allocated for biofuels investment). The reduced production of traditional Ethiopian export commodities such as coffee, pulses, oilseed, fruits, vegetables and tea implies that the impact on the external sector, exports and imports, is negative. Biofuels expansion affects both the real exchange rate and production of export commodities. In summary, biofuels expansion has both positive and negative impacts on Ethiopian smallholder farmers depending on the region, or the agro-ecological zone. Smallholder farmers in areas where biofuels crops are located benefit, whereas farmers elsewhere are negatively impacted. “Although biofuels expansion might have a negative effect on food production in some regions, the beneficial effects elsewhere outweigh the negative effects. Overall it does not undermine the country’s food production or food security, but is instead pro-poor,” says Gebreegziabher. Biofuels investments are new to the Ethiopian economy. Therefore, there was little public information available to EfD researchers in conducting this analysis. Hence, the team collected and used data from 15 biofuels firms and two NGOs, and formulated seven biofuels investment scenarios in different regions of Ethiopia. The data collection process wasn’t easy. Obtaining data from businesses required a lot of diplomacy and a number of revisits, according to Gebreegziabher. However, the use of actual firm-level data was a real strength of the study, according to an EfD collaborator who reviewed the work. The survey also revealed that one company has started exporting biodiesel, and that local innovations are being made, such as the invention of biodiesel stoves and biogas driven-vehicles. “This suggests that the sector could possibly be an avenue to reducing poverty and enhancing growth. However, the sector suffers from lack of appropriate institutional setup in terms of better regulatory framework and follow up, particularly at the regional level,” says Gebreegziabher. The findings were presented to stakeholders from both governmental and non-governmental organizations at a workshop organized by the Environmental Economics Policy Forum for Ethiopia on September 14, 2012, in Addis Ababa. The participants represented the Ministry of Water and Energy (the Biofuels Development and Utilization Directorate), Ministry of Agriculture (the Natural Resources Directorate), Ministry of Industry, Ethiopian Investment Agency, Federal Environmental Protection Authority, regional energy agencies, firms/ investors, representatives of UN agencies, and local NGOs. “As a researcher, it is extremely exciting to contribute in an area where there is indeed a knowledge gap. Ethiopia’s biofuels development and utilization strategy is in the process of being revised, so our findings will be good inputs. The research-based knowledge can be applied in deciding where in the country biofuels investments can be promoted, and how to make the best out of them,” says Gebreegziabher. Gebreegziabher, Zenebe, Alemu Mekonnen, Tadele Ferede, Fantu Guta, Jörgen Levin, Gunnar Köhlin, Tekie Alemu, and Lars Bohlin. 2013. "The Distributive Effect and Food Security Implications of Biofuels Investment in Ethiopia: A CGE Analysis.” Environment for Development Discussion Paper Series January 2013. EfD DP 13-02.